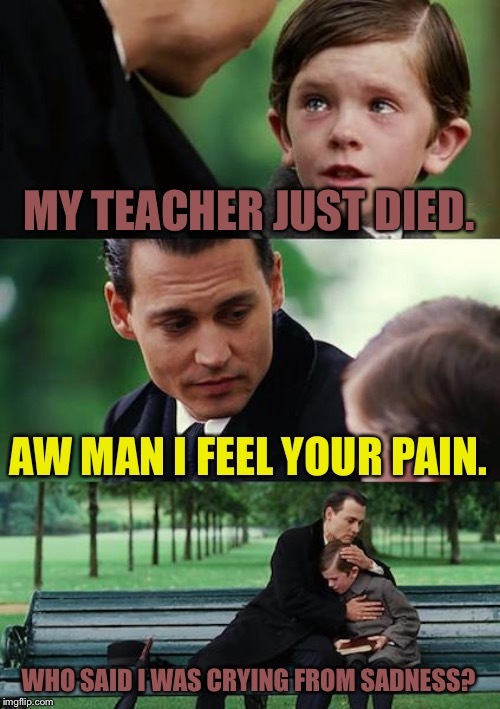 MY TEACHER JUST DIED. AW MAN I FEEL YOUR PAIN. WHO SAID I WAS CRYING FROM SADNESS?